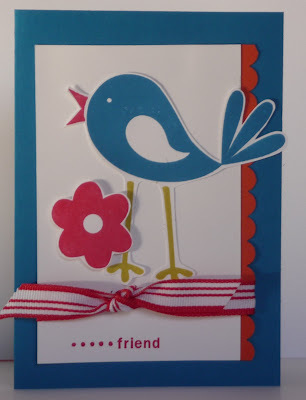 I made this card the other day that I would like to share with you. 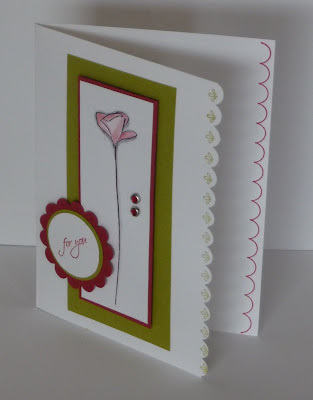 I was getting quite board making the same style of cards all the time. It's always nice to try something new. I don't have the measurements at hand but will post them up soon. 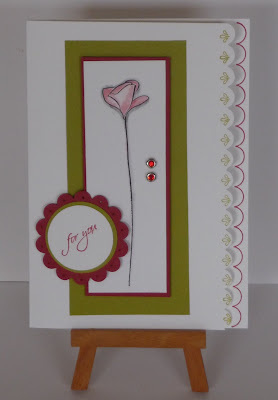 Card Stock : Kiwi Kiss, Ridinghood Red and Whisper White. Ink : Ridinghood Red and Kiwi Kiss. I am had some left over Windsor Knot DS paper left over...you know we all have scarps of paper lying around and wonder what we are going to to with them! 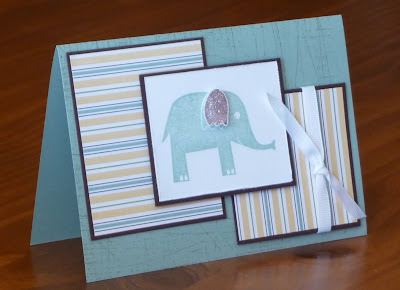 So I mad this card using the cute elephant from the Wild About You Stamp Set. 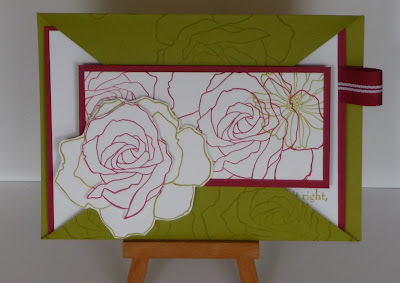 Windsor Knot Designer Series Paper. 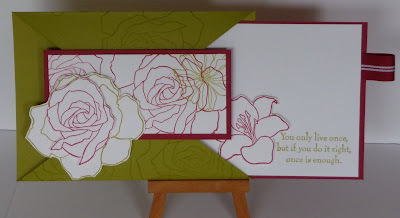 Method: Ink the weather Background stamp with Sage Shadow ink and Stamp on card base. Cut two piece of scrap Windsor Knot paper 8cm x6 1/2cm and the other 6 1/2cm x 61/2 cm and mount on Chocolate Chip Card Stock.Tie a pieces of Whisper white grosgrain ribbon adhere to Sage Shadow card as shown. 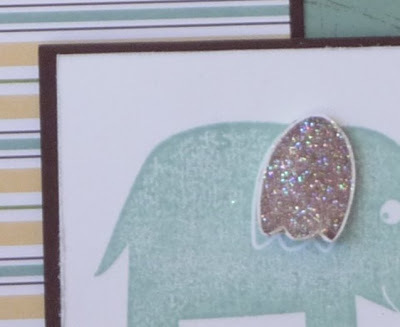 Ink the elephant in Sage Shadow and stamp onto whisper white card stock7cm x 51/2cm. Re-ink the elephant again in Chocolate Chip and stamp on to a scrap of Whisper White cut out the ear and adhere to Sage shadow elephant. Cover the chocolate chip ear with 2 way glue pen and then cove with dazzling diamonds. 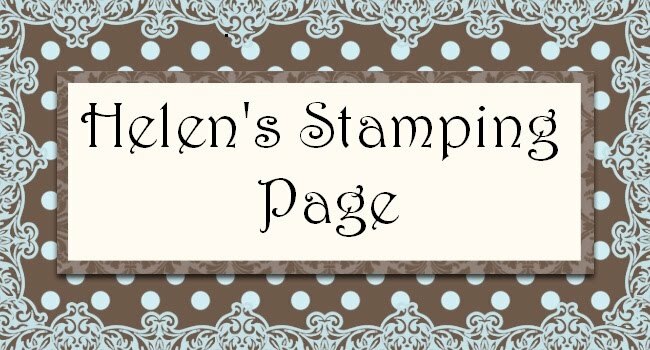 Adhere this to the Chocolate Chip 7 1/2cm x 6cm. Adhere this the card as shown.